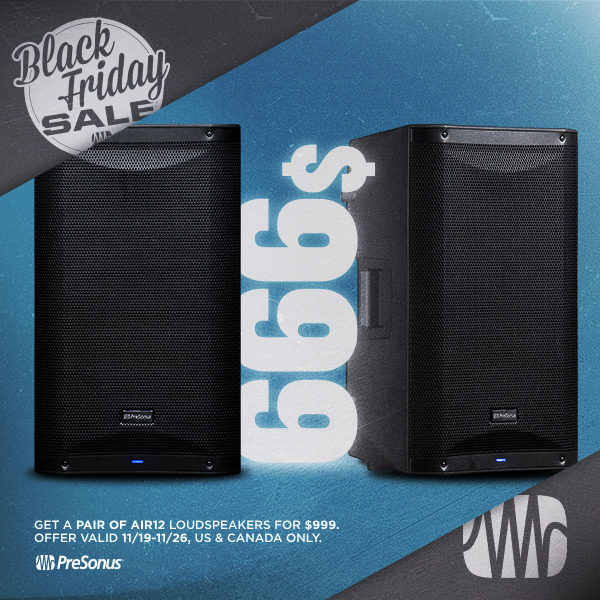 Customers in the US and Canada can purchase a pair of PreSonus Air12 Loudspeakers for $999 USD—that’s $200 off! Effective now through November 26, 2018. Click here to find a dealer in Canada.